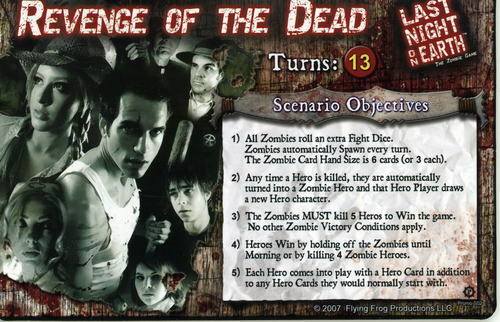 The Revenge of the Dead Supplement is a Web-exclusive for Last Night on Earth and features a new scenario and ten new game cards. All pieces are printed on the same high-quality card stock as the boardgame. The cards are exclusive to this supplement and will not be available anywhere else. They feature all new artwork. 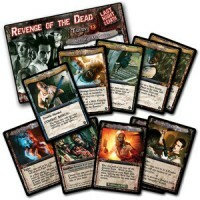 Add a Review for "Last Night on Earth: Revenge of the Dead Supplement"